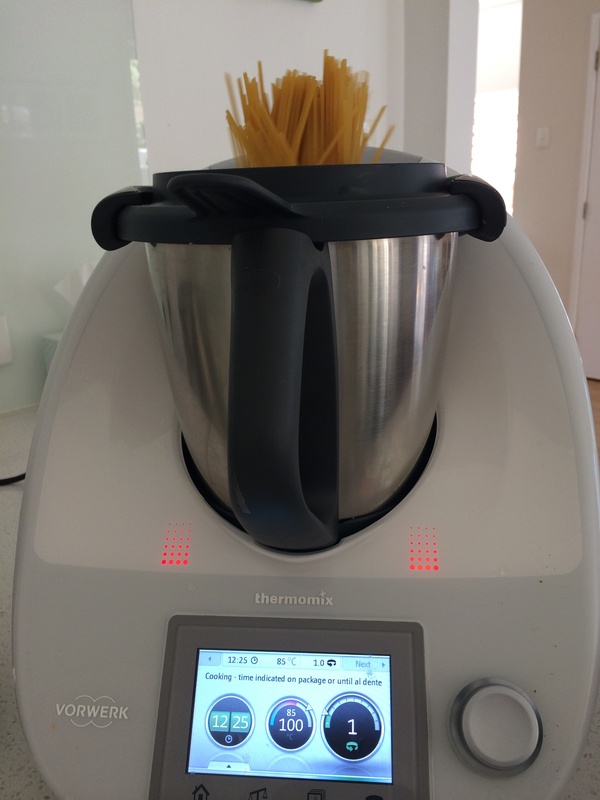 The great thing about boiling pasta in the thermomix is not having to watch the pot making sure it doesn’t boil over. I added preboiled water, added the pasta, then set the timer, walk away. Very convenient.